Firstly, consider your guests' needs in regards to travel arrangements. If you have nearby guests who may be driving to your Huntsville or Muskoka winter wedding venue, dangerous roads could prevent easy access or delay the event considerably. The concern only increases for those flying from other provinces or countries. Poor visibility in winter weather can result in cancelled or delayed flights. Secondly, think about the activities available to your guests during the winter. Some resort venues such as Deerhurst Resort in Huntsville offer hiking, snowshoeing and horseback trail rides in the winter, which guests can enjoy if they stay in the hotel overnight after your wedding day. Winter weddings are gaining some popularity because venues tend to offer reduced rates to couples booking their special day in the slower months. Some other vendors offer discounts or special promotions. 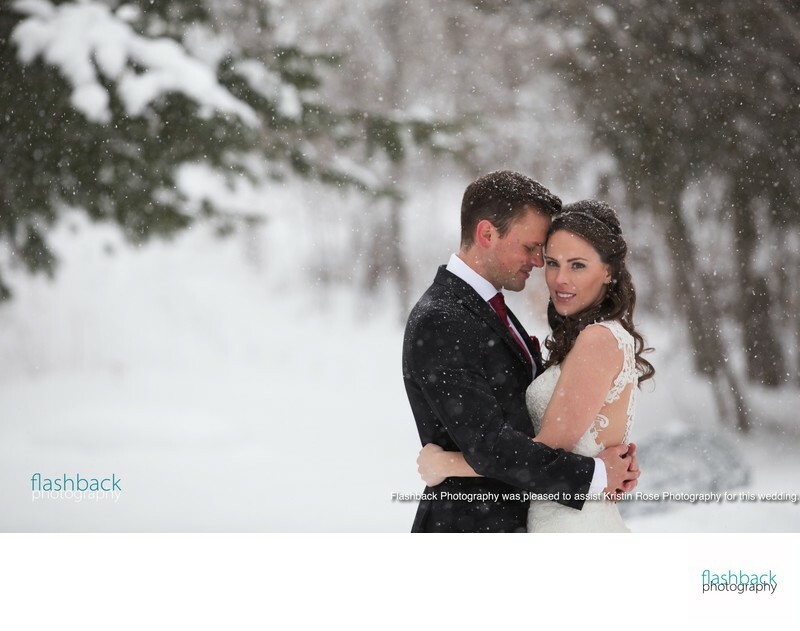 Wedding pictures can be beautiful in the snowy season, however you must be willing to embrace the cold! Being prepared with fancy robes or jackets for your bridal party and appropriate non-slip footwear is important for everyone's safety and comfort. It is also wise to consider transportation options to and from your winter wedding photo location. In the summer a short walk is usually convenient, however trails in winter are not always cleared. If you are thinking of a winter wedding at Deerhurst Huntsville or another Ontario venue, keep these tips in mind for a stress-free day!